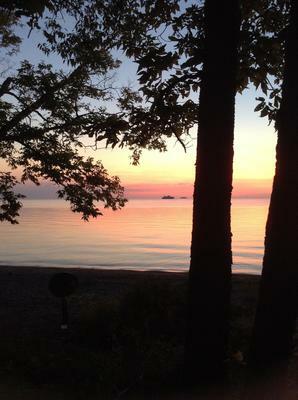 Taken in August 2013 from our property at the north end of the west shore. It's almost impossible to capture the glory of these sunsets because the colours keep changing. Pelee Island, located in Lake Erie close to the international border, is below the 42nd parallel and is the southernmost part of all of Canada. Being from Windsor originally, this photograph of the Pelee Island Ferry Sunset is well deserving of fine, beautifully depicted sunset so true to this area! We do hope that this photograph will be highly considered for its's natural beauty!